It is hard to believe I am writing this, but… I am proud to announce that the Henry Luce Foundation-funded project to process the archives of the Missionary Research Library (MRL) and the William Adams Brown Ecumenical Library (WAB) has reached a successful conclusion!!! From August 2011-December 2014, I, with the help of a team of student assistants and library school interns, processed, arranged, described and provided access to these amazing collections. Let’s take a look at the numbers and the experience. 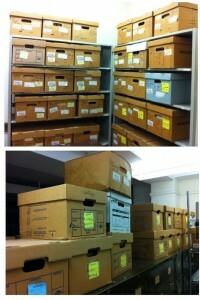 The project was to process, arrange, describe and make available a total of 573 linear feet of archives. Ultimately by December 2014, my students, interns, and I had processed 776 linear feet of archives in 183 collections. We far exceeded our goal of processing! By 203 linear feet to be exact! The grant proposal stated we would process 15 linear feet per month. Over the course of the grant, we processed on average 19 linear feet per month. My best month was when we did about 73 linear feet in one month. One way we have enabled the public to have access to these processed materials was through our finding aids. Originally the titles of the collections were linked on our archives website, but that was it – no other information. Not very helpful to those trying to do research. 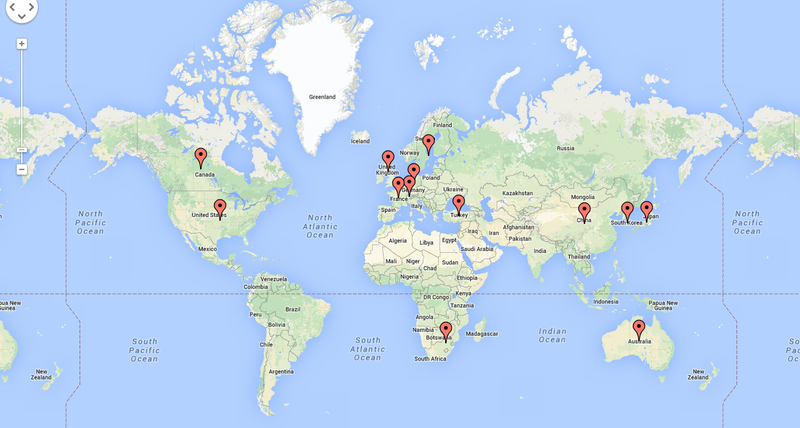 Now, there is a sea of blue – everything is hyperlinked (all 183 collections!). Other ways we have provided access and spread the word was through social media, utilizing Twitter, Facebook, and this very blog that you are reading now. 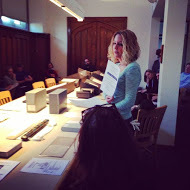 The staff at Burke have used a great deal of the archival collections in various classes and presentations. In addition, I promoted the project at archives conferences, including the Society of American Archivists (SAA), Special Libraries Association (SLA), and Archivists Roundtable of Metropolitan New York (ART). Two updates on the project to SAA’s Academic Archivist (Spring 2013) and ART’s Metropolitan Archivist (Winter 2013) and wrote an article for an issue of Mid-Atlantic Archivist. My student assistant and intern program has also been very successful. Overall I was assisted by fourteen library school interns and thirteen work-study students. You have read many of these students’ entries on the blog throughout the years! Not only have we been able to process many collections together, and the student assistants and interns gaining valuable experience, it has also helped the interns to find employment once completing their internship at Burke. Of the fourteen library school interns, four are still in school. The other ten all have jobs in the field or in related positions. 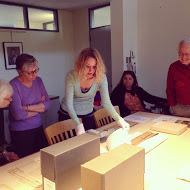 Five have become archivists at institutions such as Princeton University, Center for Jewish History, Brooklyn Academy of Music, Winthrop Group, and American Jewish Joint Distribution Committee. Other past interns are now employed as catalogers, user experience designers, adjunct faculty, and customer order clerks at the following institutions: Poet’s House, Columbia University, and Farmingdale State College. On February 4th, I attended an Archivist Roundtable of Metropolitan New York meeting called “Archives Matter,” with Society of American Archivists president Kathleen D. Roe. She said during the question and answer session, “It doesn’t matter how much you process if nobody comes.” Well luckily for us, people have been coming! From 2010 until the end of 2014, the total number of researchers consulting the MRL and WAB collections grew each year. From July 2011 until December 2014, the number of researcher visits and boxes requested doubled.2012 is when the social media began, and a big increase in requests there can be seen. 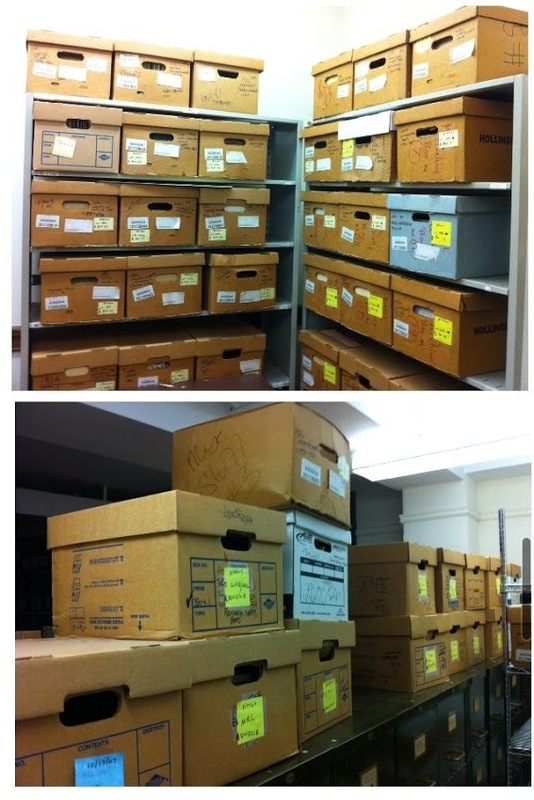 I should also note that while the MRL and WAB collections make up only 17.5% of the total archival collections at Burke, over 72% of all the boxes being pulled and 77% of the reason why researchers are coming to the library to use the archives are for these two collections. So you may be thinking, missionaries and the study of Christianity – that must mean theologians are the bulk of our users. I’m here to tell you that that assumption is incorrect! While yes, we do serve theologians, we have a much wider audience than just that. Of the 116 individual researchers who used the collections from 2011-2014, how many of those do you think were from theological schools or churches? 6 people. That means 95% of the people coming to research at Columbia University were not from theological schools. So where were these researchers from? One way in which we can measure the impact of this project is through the output of these researchers. As I stated, the growth of the questions and usage of the collections has increased significantly over the life of the project. But what have they been doing with this stuff? Of the 116 individual researchers referenced earlier I contacted each to find out what came of their research, with a response rate from about half. Respondents included students, faculty, professors, independent researchers and an independent documentary filmmaker. We found that there are a variety of research products (completed and in-progress) as a result of this project. The following list provides additional details on these research products (completed and in-progress): Books (9); Articles (4); Research Papers, Theses and Dissertations (43); General research and genealogy (2); film (1); programs, presentations or symposiums (5). One great thing we have learned is that people want this stuff. The moment finding aids go up, we start noticing the increase of requests. Sure, people would love to have things conveniently online – however that is not always possible. When people want to see the collections, they will come. We know that the collections are having an impact on research, teaching and learning. One researcher using the Pliny Fisk Papers said about the material, “This was not only critical to my PhD research, it was groundbreaking.” Many researchers said that the Columbia collections provide documents that are not available anywhere else in such complete form. Needless to say, this experience has left quite the impact on me both personally and professionally. 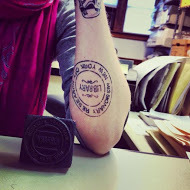 In fact, I even tattooed the MRL stamp on my arm. Thanks to funding from the Henry Luce Foundation, we were able to make this amazing set of collections available. I’m looking forward to even more scholarship that is bound to be created thanks to these archival collections. After all, work in the archives funnels out into the community and brings up new and interesting ideas for all of us to discuss. This entry was posted in Collections on February 20, 2015 by Brigette C. Kamsler. for you to merely evaluate the right kind of shoes for your kid. You’ll find that contract renewals for your existing players are also handled by agents now. feet, this advanced shoe brings utmost results while playing on the field. significant airports and is really busy in running with countrywide and international flights.